Something special is happening in the basement of the School of Physics at the University of Melbourne. 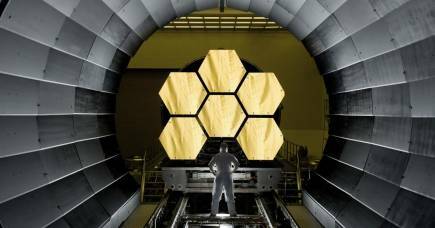 A few months ago, a team of scientists and researchers at Melbourne took delivery of the first pieces of hardware that may ultimately build Australia’s first space telescope, Skyhopper. 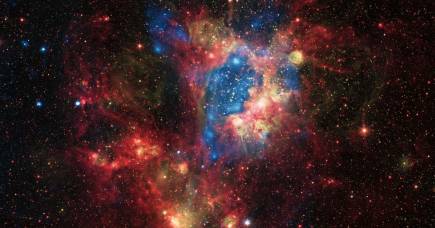 Australia has entered a new chapter in the exploration and understanding of space by creating a National Space Agency. While the agency is still in its infancy, it’s already raising awareness of the opportunities space can offer as a platform for observations and communications. 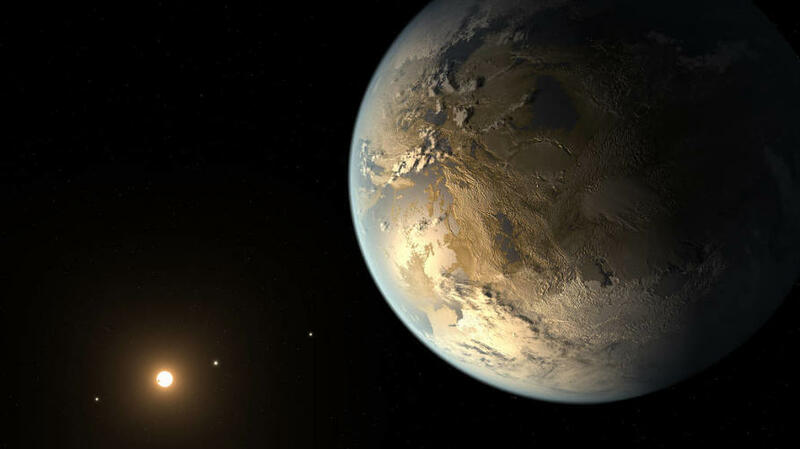 In keeping with this new spirit of exploration, the University of Melbourne is leading the design of SkyHopper - a space telescope that will allow us to discover potentially habitable Earth-sized exoplanets in our galactic neighbourhood, but outside our solar system. It will also measure the distance to stars that are exploding and collapsing into black holes at the edge of our observable universe. With commercial space companies now providing low-cost hardware and launches for small ‘cube satellites’, all these goals suddenly become realistic for us to build and launch Skyhopper. In the last few decades, progress in astronomy has been increasingly driven by data from space telescopes - like the Hubble Space Telescope - that capture light unaffected by Earth’s atmosphere. Space telescopes give us access to a broader range of wavelengths, with lower noise and sharper images, than ground-based telescopes. Over the years, the Hubble Space Telescope has transformed astronomy, from the study of how stars and their planets form, to the Nobel Prize-winning discovery that the universe’s expansion is accelerating, and the search for the first galaxies. With its stunning imagery, Hubble motivated many brilliant minds to pursue a science-focused education. But, to date, space telescopes have been expensive, challenging and time-consuming to design, build, and operate. For example, Hubble’s successor, the James Webb Space Telescope, is a collaboration between three of the world’s leading space agencies (NASA, ESA, and Canada) that started more than 20 years ago. With a budget of about AU $12 billion, its launch has now been delayed until March 2021 - allowing more time to carry out tests and to rectify any issues so that Webb can fulfil its full potential to explore the universe. But technology is evolving. Just in the past five years, giant steps in technological innovation have made space-rated hardware smaller, cheaper, and commercially available. This ‘Space 2.0’ paradigm is disrupting the industry and the shift is mainly driven by CubeSats - nanosatellites weighing between one and 20 kilograms with a standardised form factor, allowing them to fit in a commercial rocket’s cargo hold. Hundreds of CubeSats are launched each year and a growing number of them are designed and built in Australia. 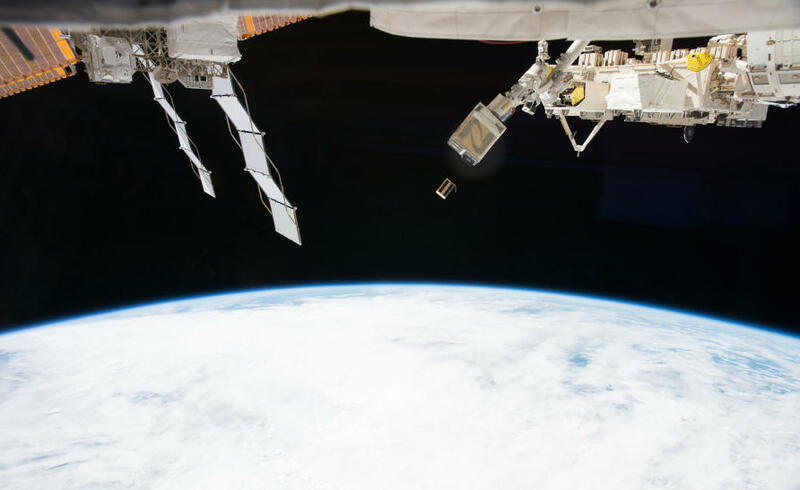 Last year, the first three Australian CubeSats went into orbit and several Australian universities, research institutions and private companies are actively developing CubeSats. In late 2015, over some great Melbourne-roasted coffee, the idea for the SkyHopper mission was born alongside a recognition of the potential of CubeSats. Could we push the technological envelope of a CubeSat? Could it fit inside a telescope, feeding a cryogenically-cooled camera capturing infrared light? Could it ‘sky hop’ – swiftly pointing anywhere in the sky? 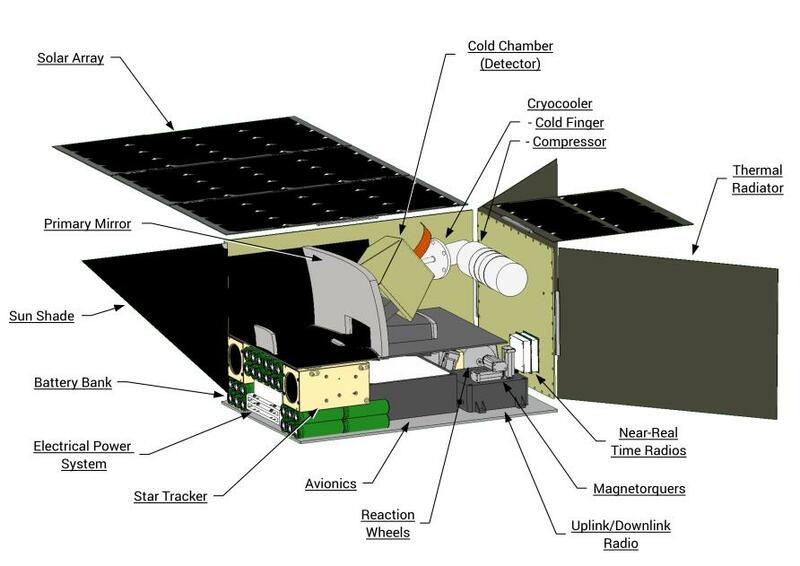 Keeping an infrared camera cooled to 130°C below freezing has never been done on a CubeSat. So to test it, two miniaturised cryocoolers operating in a vacuum on a test bench at the School of Physics will simulate in-orbit conditions. The aim is to identify which one is most suited to form the core of SkyHopper’s thermal management subsystem - the on-board ‘super freezer’ that will keep the camera cold. If that seems challenging, there’s also the key requirement of 24/7 communication with the satellite, as well as sufficient bandwidth to download four megapixel pictures. Essentially, we are aiming at designing and building a tiny sibling to Hubble, with a 15 centimetre mirror that can fit inside a shoebox. But, the aim is that SkyHopper will be a thousand times faster in responding to a command to perform time-critical observations. And the tiny but powerful satellite will capture infrared light with a precision beyond what is possible from the ground. Our aims are bold. 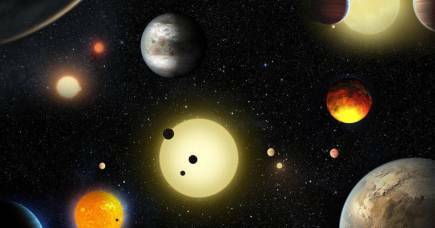 We want to break new ground in the detection and characterisation of exoplanets orbiting around low mass stars. We want to study stars and galaxies at the edge of the observable universe by measuring the so-called cosmic infrared background that encodes the collective information on all dust particles, stars, and galaxies in the universe. We also want to capture live events as they happen. So the telescope can interrupt an observation to hop to locations where high-energy and gravitational wave observatories spot stars collapsing into black holes. We can then characterise the infrared light associated with these explosions to tell us more about what’s happening and their distance from us. After more than two years of preliminary design study and modeling, we are confident our project will take off. In that time, our team has grown from four people to 30-plus members from major Australian universities active in astronomical research, and from several international partners in Europe and the United States. Enthusiastic students are playing a significant role. Robert Mearns, SkyHopper System Engineer, came on board while he was a postgraduate student and our research group hosts physics and engineering students all working toward the same goal. 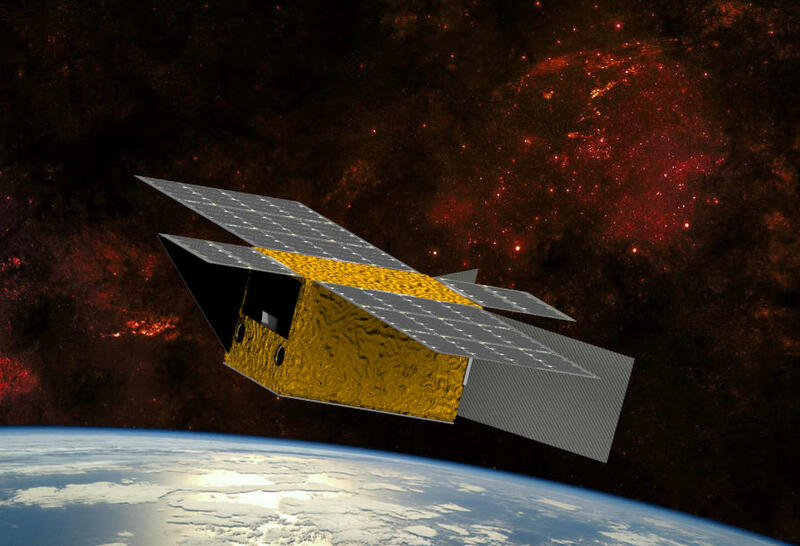 We want to see cutting-edge nanosatellite projects based on leapfrogging technology and international cooperation built into the National Space Agency and into Australia’s broader space industry. With the technology this small but nimble and effective, Australia’s future in space can be bright.